When I was left with a pile of strips after cutting for a project, I just had to whip up a few 9-patch blocks. I have plenty of strips to make a bunch more, but these are what I stitched up during the news. In this photo I was auditioning a fabric for setting squares. I had first thought I would use a black print, but decided I wanted a sweeter look. Did I forget to mention that the strips were under 1" wide and these blocks will finish at 3/4"? I have made many 9-patch blocks this size before, but it has been a while and it took me a couple of attempts to remember the techniques. During the Olympics I spent a lot of time doing the stitching on this. I'm not sure I want to border it the way the pattern shows, but I haven't yet come up with something that clicks for me. Currently it has a place on my design wall, reminding me that Spring is coming. 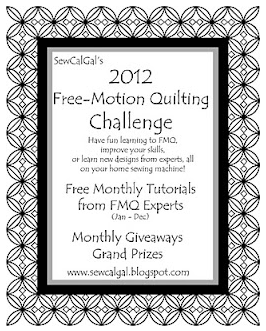 Wendy (theconstantquilter blog) invited us to join her in making a mini a month. Since I am inclined to do that anyway, I figured it would be fun to join in. My feathered star swap quilt ended up being my January finish, though I had intended this to be finished in January. Instead, it is my February finish--almost. It looks all wonky because I haven't stitched the binding down on the back yet. The pins holding the folded binding down are distorting the quilt. Hopefully it will be completed very soon. 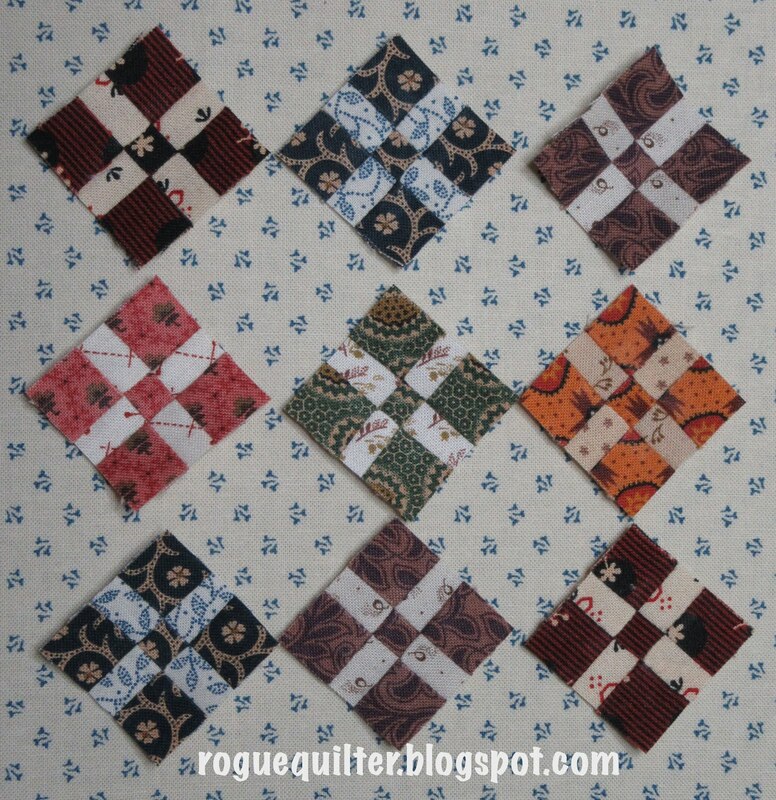 I have started my March mini, but it is a swap quilt that I won't show until the swap is completed. It is time to get the sashing on Sasquatch. 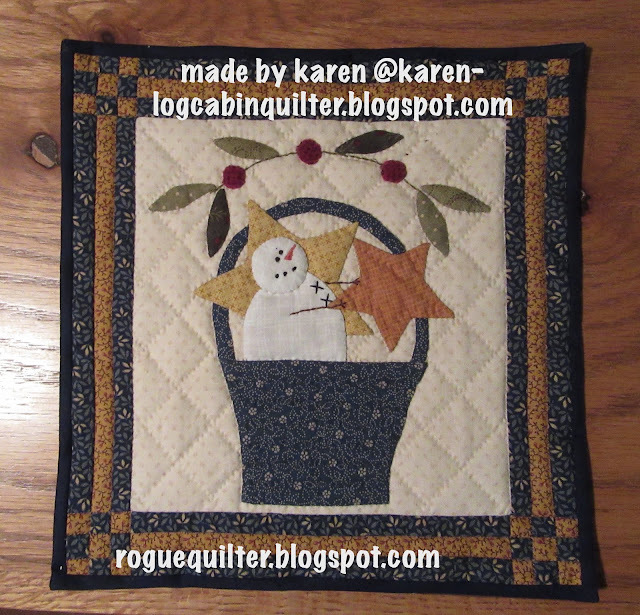 The last time I posted this quilt I said I still had something else I might do with the trees. We are finally getting winter, and this was the scene one morning just before the sun came up over the mountains earlier this week. The white stuff is in our forecast for the Weekend. More Quilting time, right? The tree trunks are varied in nature, just saying. Love the tiny 9 patches. Glad you are enjoying making minis again. What darling nine patches...cute, cute, cute! Your mountains draw me home, so much like my beloved Rockies. Those teeny nine-patches are just adorable, as is that bird on the beehive-love his wings! 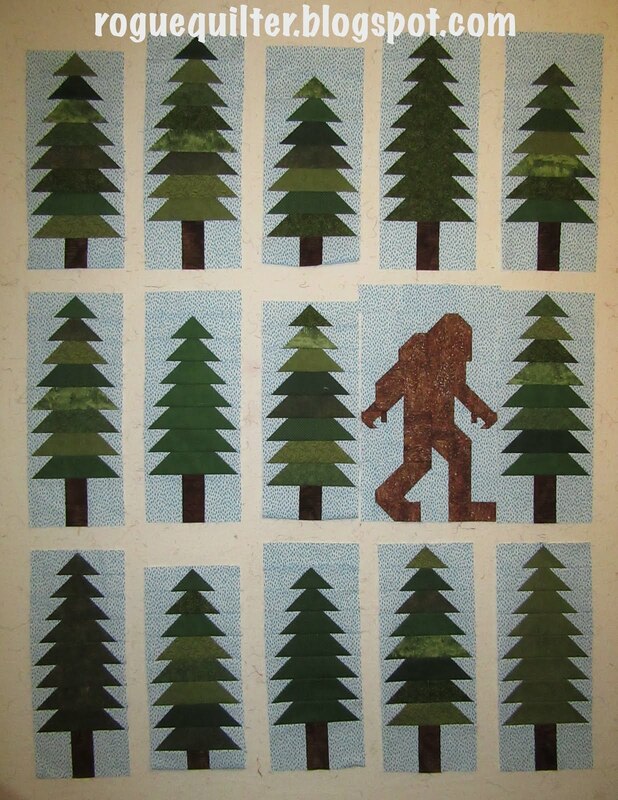 As for the sasquatch forest, I think the varied tree trunks add a lot of interest to the whole. After several tastes of spring-like weather winter has returned with a vengeance. Close to a foot of heavy wet snow has fallen already, and DH had to get out the tractor to clear the driveway, the snowblower just couldn't handle the density. Thankfully we still have power, for now, many thousands in our area do not. Absolutely make the tree trucks different....it adds a lot of personality to your woods. As for your "micro-mini"......I sat here with my mouth open when I realized how tiny those blocks were! I needed an extra gulp of coffee to wrap my mind around them.....and yes, the fabric gives a sweeter look. Love the beehive and your snowman finish! You inspire me. Those tiny blocks are wonderful. Oh, those tiny little nine patches! They are so perfect and beautiful! Your snow man and beehive finishes are great. The snow man goes well with your beautiful mountains covered in snow! About the trees, I know it's more work, but I like the varying heights of the trunks, too. OMG Look how tiny. I've picked my mouth up off the floor. I may have to try those just to see if I can do it... All your projects are gorgeous as usual. That sure is a cute snowman! Seems like I have seen one of those somewhere. Good finish. And I love the wool bee skep you did. Is that one of the freebie patterns? It looks familiar. Once again you knocked it out of the park. Your work is impeccable. By the way, love the look of the different sized trunks - just the way a forest looks. I like the trees in varying heights--much more interesting. 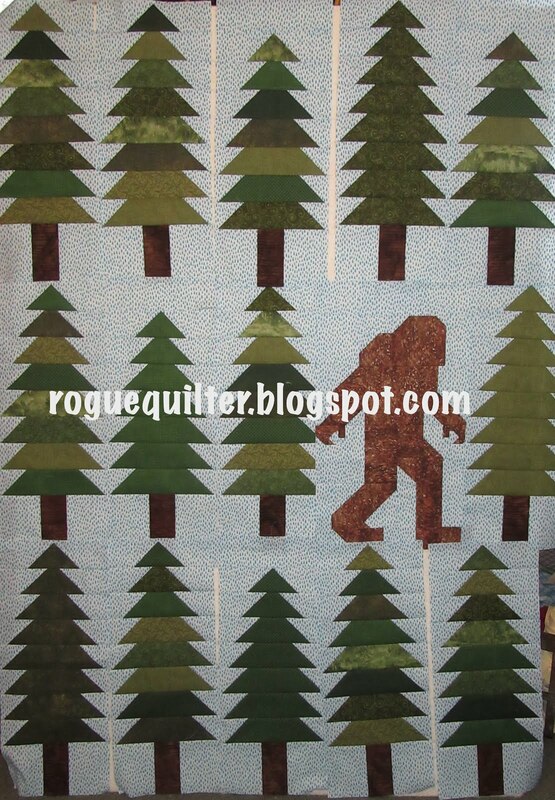 Sasquatch is such a hoot--love it! Those tiny blocks are adorable too! I too like the shorter tree trunk mix, and the tiny 9-patches are beautiful. However, just thinking about making those made me tired! I fought a long time last night with a 6.5" block! I can't even imagine making even a 9-patch that small! You amaze me, every time! ---"Love"
Well, the trees and evergreens on our property are all different in height - my thought is...go for it! Your very fun Sasquatch is in his own natural environment:-) As for those 3/4” blocks...I had to sit down! They are absolutely adorable and perfectly pieced. Love your fabrics too!! Your (almost) February quilt is adorable! And look, it brought you snow! I cannot believe those tiny 9-patches. It boggles my mind! I like both renditions, but I think I like the disjointed look better (no surprise for me!). It adds a little dimension to have the trunks different sizes. What would Sasquatch say?? It's always lovely to see what you've been up to Janet. Those 9-patches are too cute - and no, I wasn't surprised to read how small they are! Your mini is just gorgeous nd I also love your wool felt work. I like the varying heights of the tree trunks...more realistic looking even if the Sasquatch is not so real! Again this is the place of the tiny things! Gorgeous Bee Hive.....nine patches bordering it? I like that your trees aren't all the same height, after all they aren't in nature. 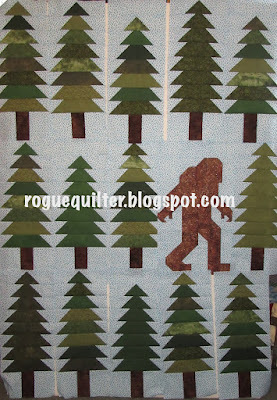 I do like this quilt, I look forward to seeing him finished. Kiwi Hugs.........P.S perhaps your winter is coming visit me? Love your mini finish, but the sweet nine patches look great and I look forward to seeing the end result. I live in the woods and the tree trunks are not all the same height to the lower branches. Adds a realistic dimension to your forest that is otherwise lacking. I keep saying I'm going to make tiny mini quilts when I get caught up with other projects.....do we ever get caught up?? Happy winter to you with the snow. We are rolling into spring with daffodils blooming all along the drive. Hyacinths are popping up and my lilies are are about 3 inches tall. Yea for your February Mini. It's perfect since you got new snow. Now you really do make true mini's especially with those incredible nine patches. Not so simple when you make them that size. I vote for the different trunks on the trees. Much more interesting. I like the trees at different heights also. It really adds interest and movement, as if the Bigfoot is really walking. I have been following you all along, and I really enjoy your blog. Thank you. Your minis are soooo gorgeous Janet. Just so tiny! I think that a forest definately CAN have different tree heights. I love the look of it all. But my absolute favourite would have to be the bee skep ... looks like wool felt to me? Just beautiful! I've been thinking about 9-patch blocks, too, and have begun cutting, but they are not so tiny as your adorable 9-patch blocks, Janet. Do you still use a quarter-inch seam when stitching such small pieces? I think the tree trunks with different lengths looks more like trees in a real forest. They're never all the same height before the branches start. I think the trees have even more of an individuality as they are in the second photo. Ooooohhhh so sweet and tiny... my favourite!! I think you and I are a teeny tiny bit obsessed! I love the variety of trees and don't think it looks disjointed at all. 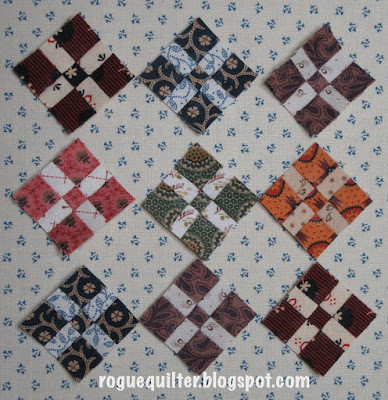 What sweet wee quilts and blocks! It gives me so much perspective when it is in your hand!! Your 9-patches are so weensy and so well made, good job! Love the trees either way, too. squeal! I love those tiny nine patches. I have some tiny ones in a drawer, I'll have to pull them out. The changes you made to the trees is so great. Makes your forest look more realistic. I love 4 patches, 9 patches, 16 patches, 25 patches, 100 patches......................I am not sure I could even see straight after sewing them all the size you sewed yours though! LOL All of your projects are amazeballs! I think the varying trunk heights makes the quilt more interesting to look at, not so static a design as all trunks the same. Go for it! I love your so-very-mini 9-patches! I simply cannot believe the microscopic size of those 9-patches and the precision with which you do them! Bravo!! 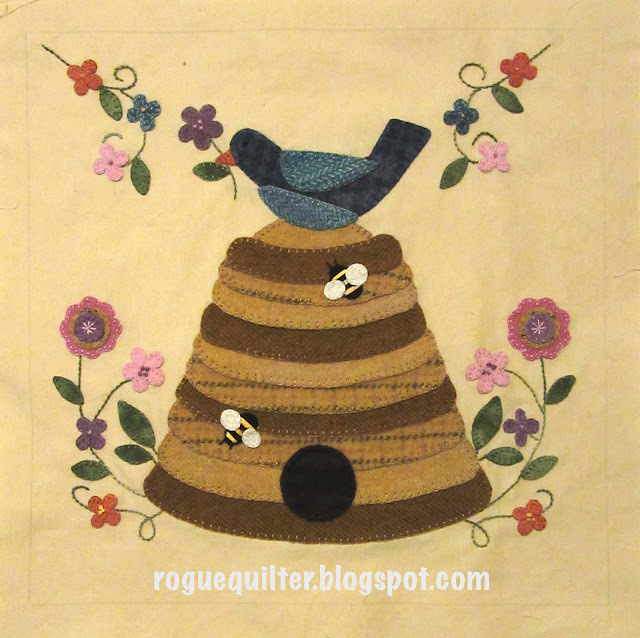 The bee skep with bird and blooms is simply precious and the snowman in a bucket is just too cute! Yes, definitely, you're on to something brilliant-- varying the heights of those tree trunks adds visual interest, well done; as always! OMG! Those are the tiniest little 9 patches. 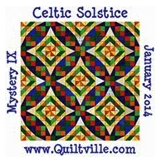 Your quilts are incredible and so inspiring. so sorry it took me so long to comment! 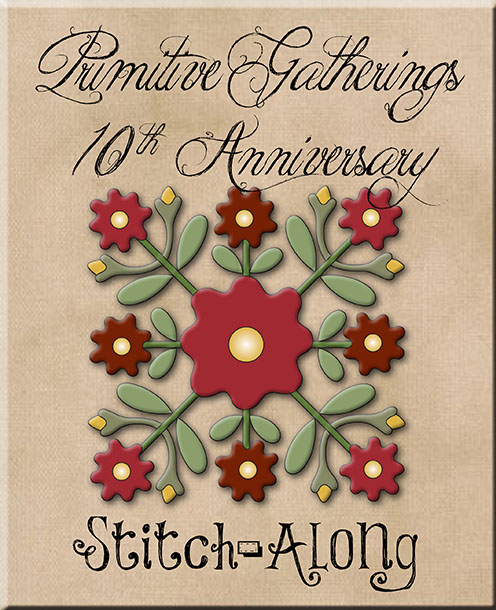 I forgot to ask yesterday to see your progress...did you get your little nine patches all pieced together? I like the different height trunks on the trees...what did you decide to do with that?